Did it seem like 2018 was the year of the food recall? If your business is food, it is time to prepare your food recall plan for 2019. Looking back at the data from the Food and Drug Administration (FDA) recalls, market withdrawals & safety alerts for 2018 non-fiscal year (January - December), there were 548 cases of Class I recalls issued for products that could cause serious health problems or death. According to the FDA, there has been a steady rise in the number of food recalls since 2012. For consumers and businesses alike, food safety incidents have enormous consequences. Consumers pay with their lives and health. Several deaths directly attributable to food illnesses were recorded in 2018. The CDC estimates that foodborne disease outbreaks cause the death of 3,000 people every year in the United States. Food companies lose money and customers. Products worth millions of dollars are destroyed every year because of food safety incidents. Food recalls cost companies an average of $10 million in direct costs alone. The figure jumps to $100 million when considering indirect costs, such as brand damage and loss of customer loyalty. Food recalls taint the industry. As more food safety incidents make the headlines, consumers grow increasingly skeptical of the safety standards in the industry. A study by the Center for Food Integrity (CFI) found that only 33 percent of consumers trust the food system. Less than half of the respondents hold a positive perception of food manufacturing. As 2019 kicks in, it is important to review the major food safety events that made headlines in 2018. Knowing what to look out for is important when establishing a food recall plan. We will cover the steps you can take to minimize the risk for your food business and keep your products off the recall list this year. The recall of Romaine lettuce was the longest and most recurring food safety incident of 2018. Three major E. coli outbreaks were linked to the leafy greens. The first outbreak was reported in December 2017, with 25 recorded illnesses. 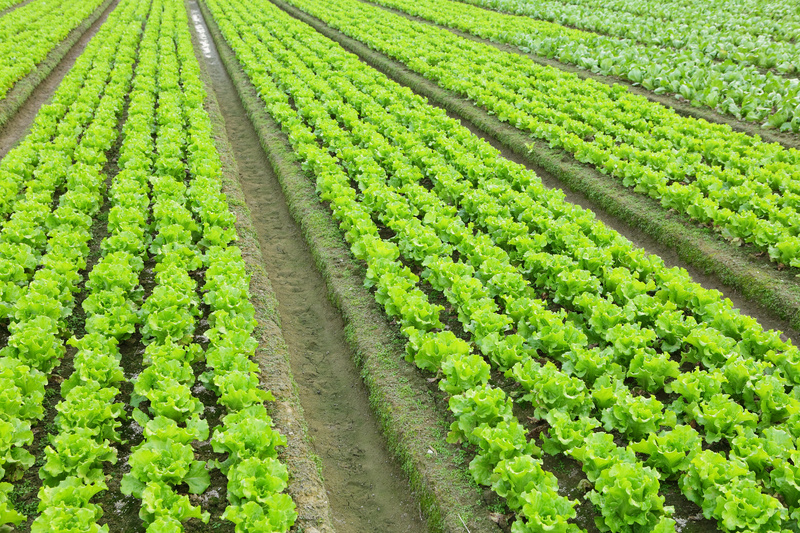 The second outbreak occurred in April and was traced to lettuce from the Yuma region of Arizona. The Yuma-linked E. coli outbreak caused 5 deaths, 96 hospitalizations, and 210 illnesses. Barely three months later, a third outbreak started in November, resulting in 25 hospitalizations and 65 reported cases in 16 states, according to the CDC. This last outbreak ended on January 9 and was traced to romaine lettuce from the Central Coastal growing regions in northern and central California. The recall has led to significant financial losses for growers and farmers all over the United States. These outbreaks resulted in 300 illnesses, 128 hospitalizations and 6 deaths. This impact was felt as prices for whole heads of romaine lettuce were down 60 percent in May of 2018, according to the Wall Street Journal. More than 200 million white eggs were recalled in 2018. The recall was announced after federal officials traced Salmonella illnesses to contaminated eggs. No deaths were reported; however, 45 people were infected with the outbreak strain of Salmonella Braenderup in 10 states. Eleven people were hospitalized. A total of 12 million pounds of raw beef products were recalled from the market on two separate occasions. The products were linked to a Salmonella outbreak which sickened 246 people in 25 states. While food recalls cannot be completely avoided, you can tighten your safety standards with a food recall plan. Preparedness can be the difference between maintaining consumer loyalty and dealing with a tainted brand reputation. Be prepared to perform recalls in the shortest possible time while communicating with consumers and stakeholders at all times throughout the process. A key factor in food recall management success is response time. Disorganized records can create problems in the event of a food recall. Adopting the right technology is critical for achieving food supply chain transparency. FoodLogiQ’s Recall + Response solution within FoodLogiQ Connect empowers organizations to respond to food withdrawals and recalls with speed and accuracy. It also offers the ability to test recall effectiveness with unlimited mock recalls. The features and functionality utilized during a live recall are the exact features and functionality used when conducting mock recalls. To learn more, download FoodLogiQ's Recall Readiness e-book and learn how you can be prepared for a food recall.